Photo by Tom Roster, St. Olaf College. For more information about the Rolvaag Library Special Collections, including donations, please see our Research Guide. Materials in our special collections are cataloged in our Library’s online catalog Catalyst. 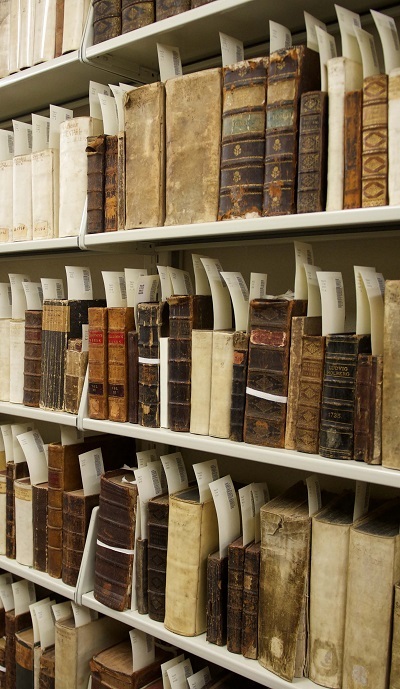 Access to Special Collections is dependent on staff availability, Monday - Friday 9am to 4pm. Researchers need to make an appointment at least 24 hours in advance by completing this form online. To prepare for your appointment, see our guidelines for visitors. Please contact us at classvisitssp@stolaf.edu.